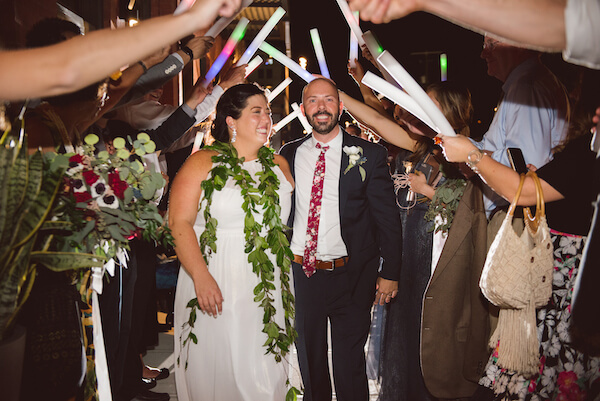 Our Special Moments Event Planning team truly adored working with this sweet couple, Brian and Monica, and their families. 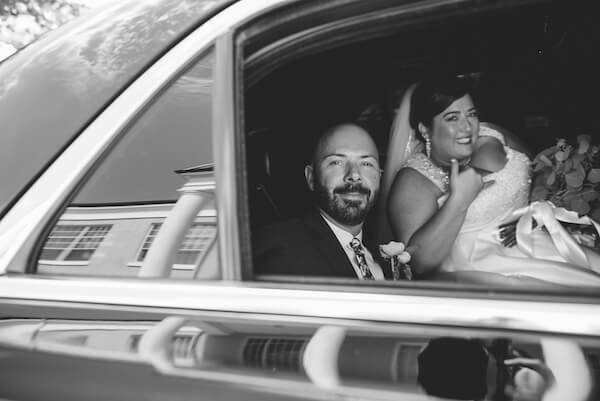 They could not have been nicer to work with; from final walkthrough meetings, finalizing details of their Armature Works wedding reception to their wedding rehearsal and finally their wedding day. 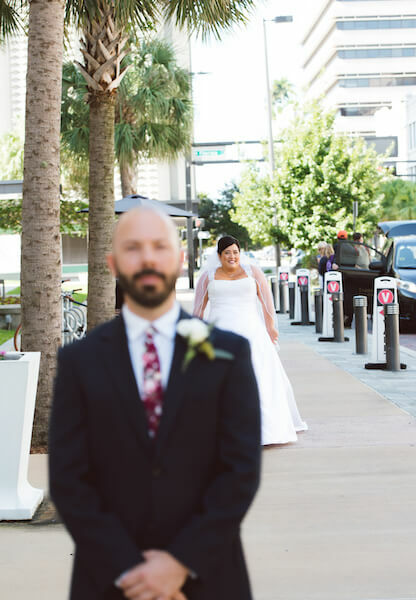 The day started at the Le Meridien Tampa where the wedding party spent the morning relaxing and getting ready. 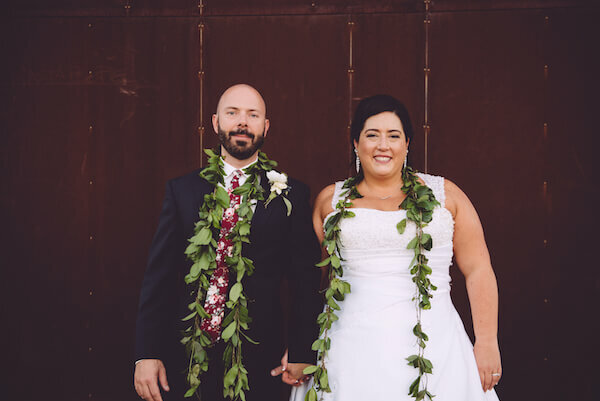 We loved the sweet nods to Monica’s Hawaiian heritage throughout the day. 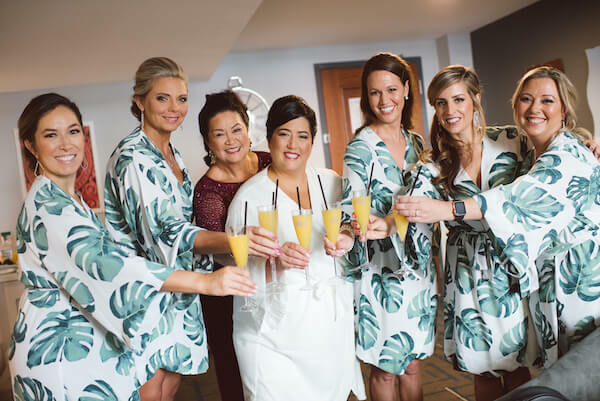 How adorable are the robes for the wedding party? 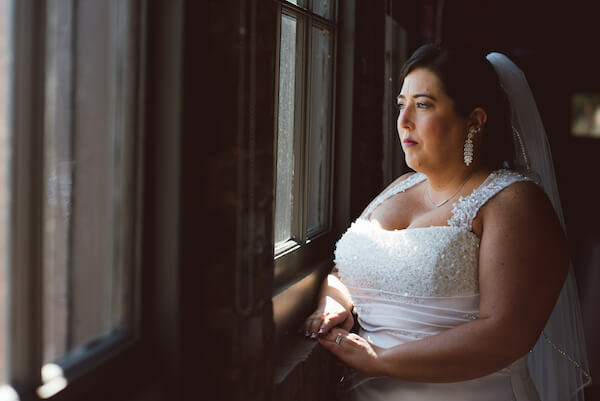 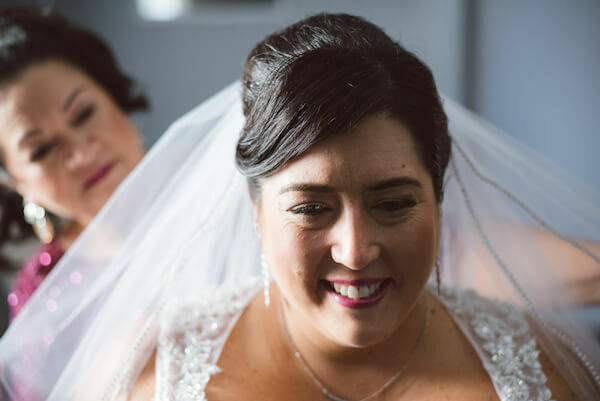 Monica started the day in a beautiful gown with a beaded bodice, sheer straps with crystal appliques and a fingertip-length veil with crystal edging. 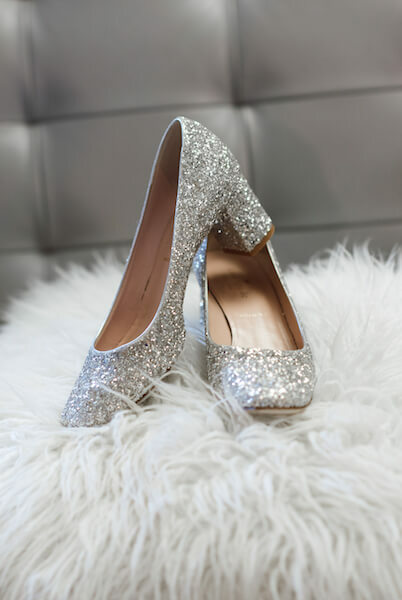 The details of the gown coordinated perfectly with this awesome pair of sparkling Kate Spade wedding shoes. 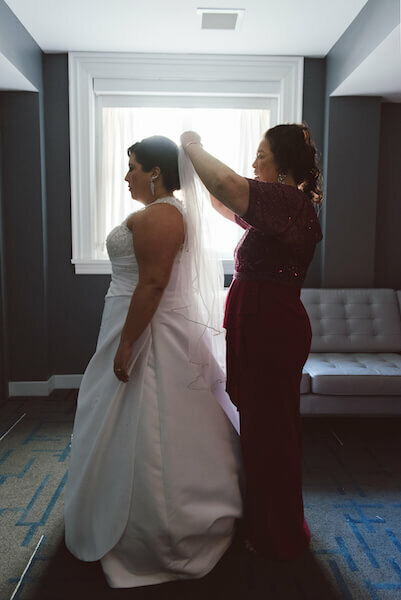 She looked amazing! 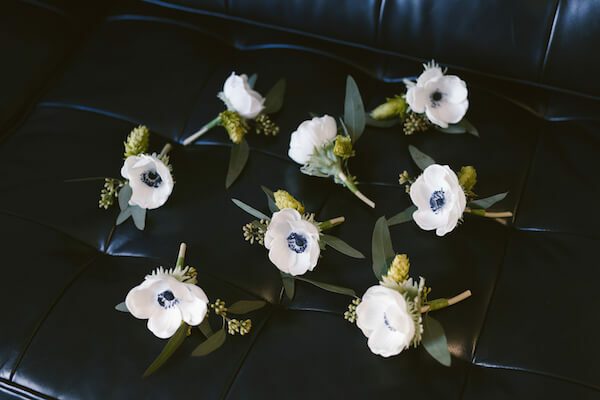 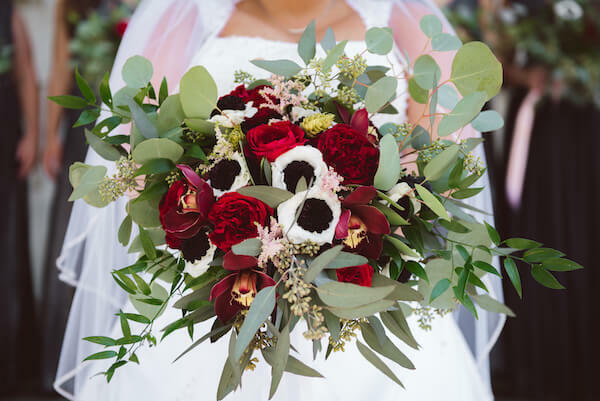 She carried a brilliantly colored bouquet of burgundy orchids, cottage roses and white anemone accented with seeded eucalyptus, astilbe, and hops. 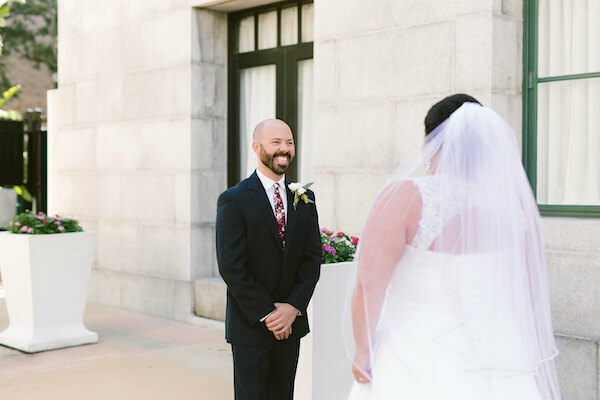 Brian looked quite handsome in a two-button suit with a brightly colored necktie. 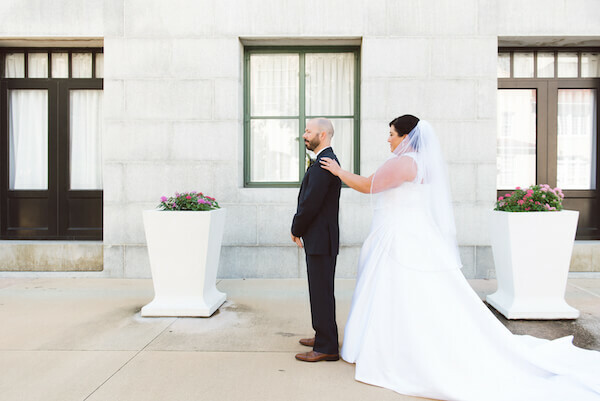 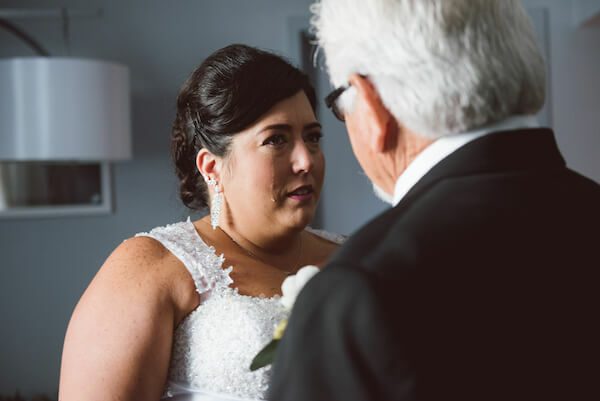 Before their first look, Monica spent a few minutes with her dad and then she and Brian enjoyed some time with their wedding party. 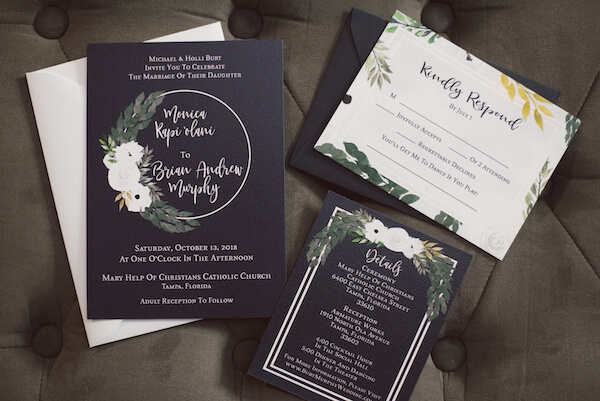 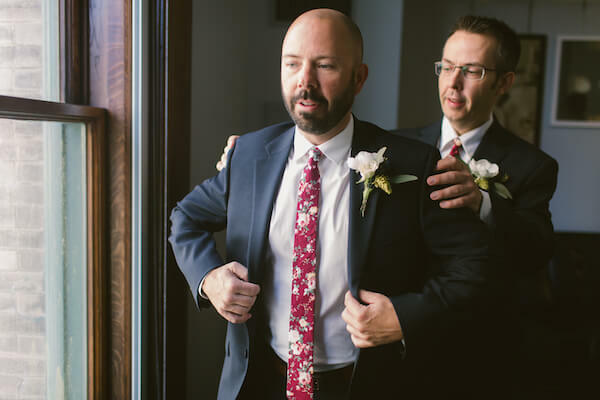 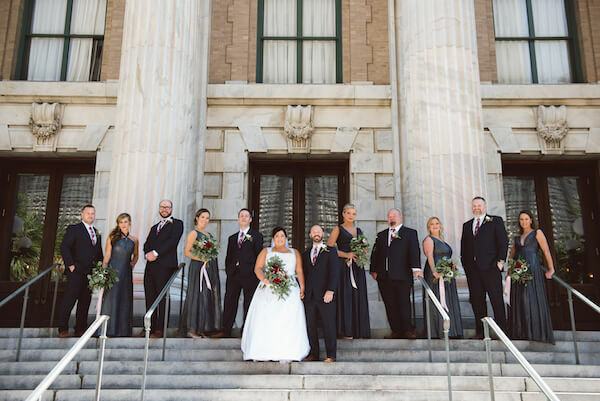 We love the very coordinated look of their wedding party, with dresses, suits, and flowers that tied into unique touches in the wedding design. 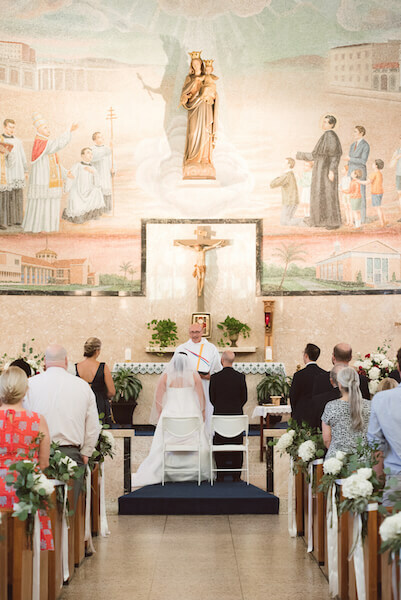 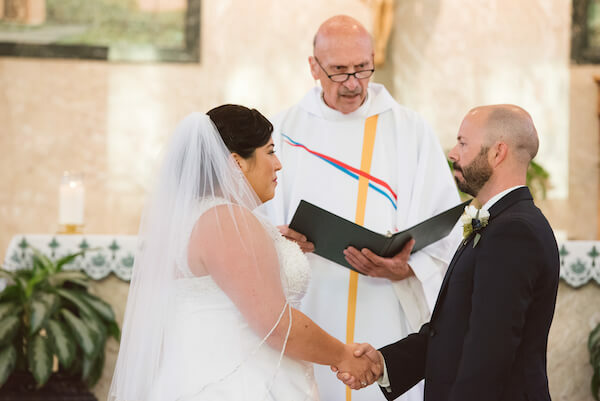 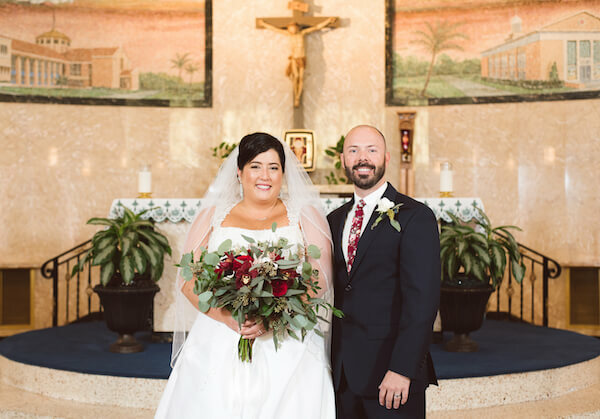 Monica and Brian exchanged their vows in a wedding ceremony at Tampa’s Mary Help of Christians Catholic Church before heading to Armature Works for their wedding reception. 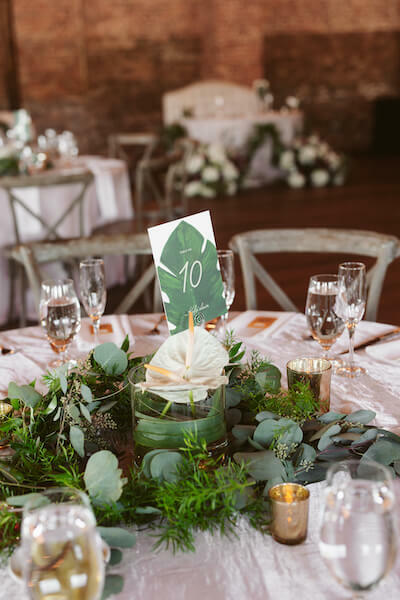 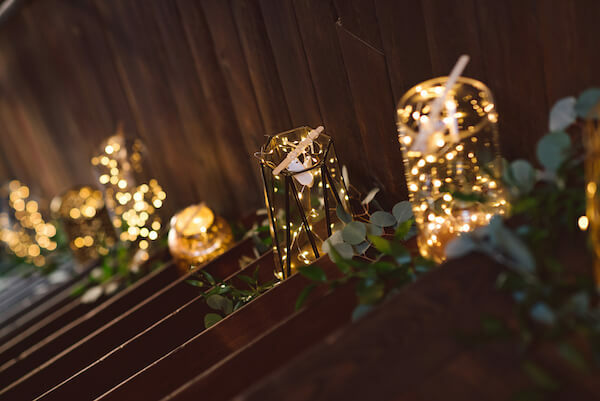 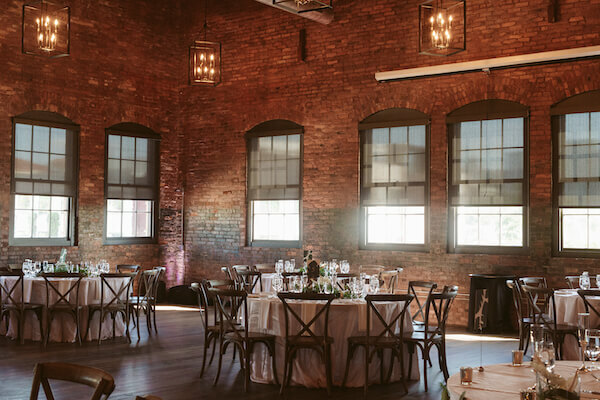 The awesome industrial spaces lent themselves to adding details with a little twinkle and beautiful greenery adorned tables with white anthurium. 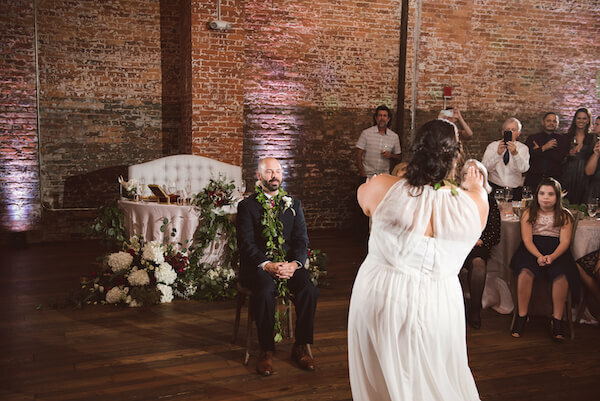 Guests dined and danced while Monica made a quick gown change, returning to perform a traditional Hawaiian dance for Brian. 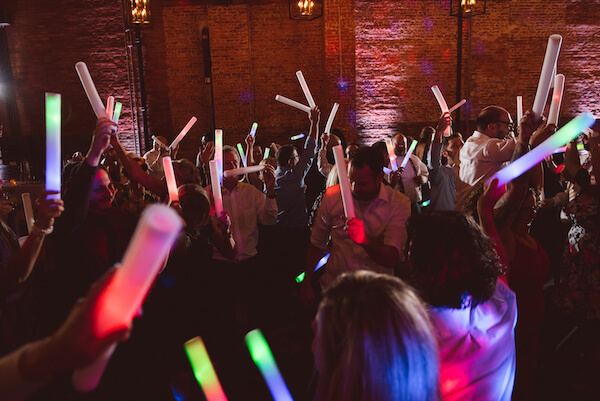 The night concluded with the couple cutting one of three wedding cakes, some Polaroid photos and dancing the night away with some fun colorful glow sticks. 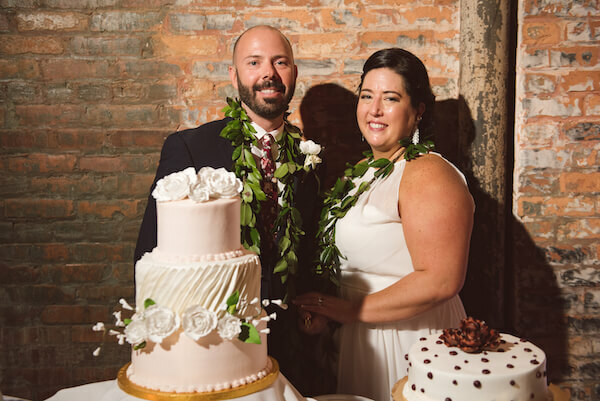 Mahalo Monica and Brian, our Special Moments Event Planning team is so honored to have been part of your wedding day. 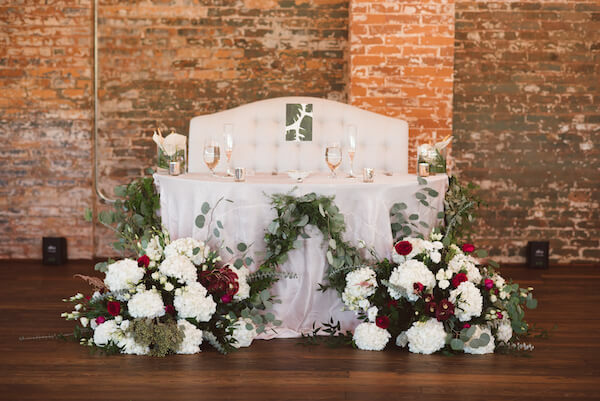 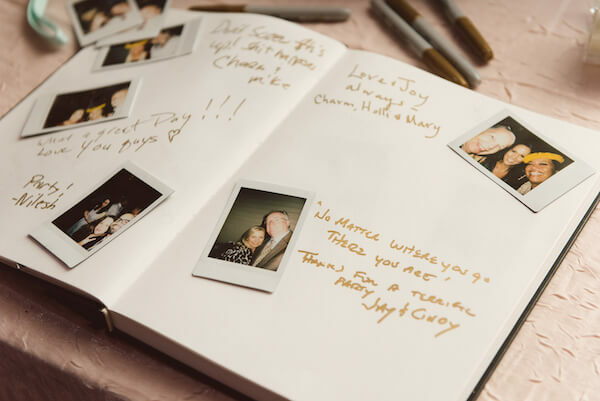 Thank you to all of the vendors who brought your dream wedding to life.